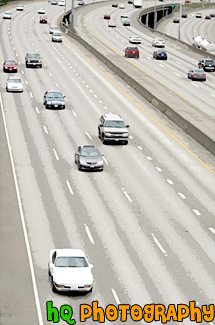 A scenic picture taken of cars travelling both directions on a major freeway in Washington State (I5). 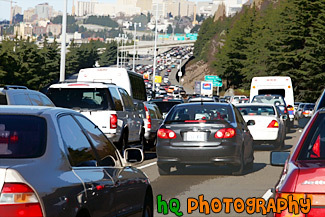 A close up picture taken of backed up traffic on the I5 freeway on the way to Seattle, Washington. 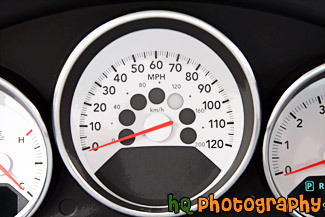 A close up picture taken of a car speedometer reading at 0 mph. This speedometer has black numbers and a white background. 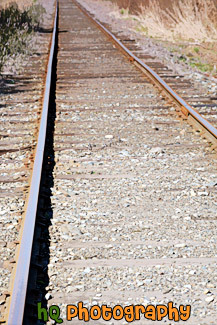 A close up picture taken of railroad tracks with rocks surrounding the tracks. 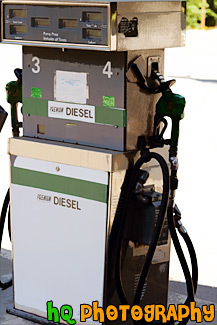 A close up picture taken of a diesel gas pump located at a Greenwater gas station in Washington State. 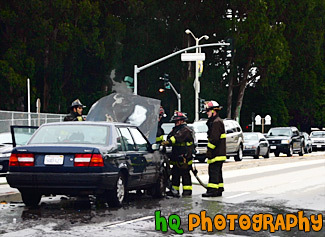 A picture taken of some firefighters putting out a car fire in the city of San Francisco, California on 19th Ave.
A scenic picture taken of a freeway heading towards the Safeco Field baseball stadium in downtown Seattle, Washington. 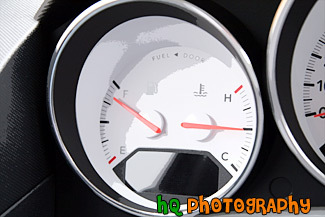 A close up picture taken of a fuel gauge in a car. 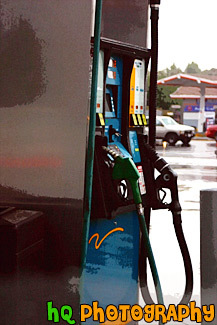 A photo at a busy gas pump on a rainy day in San Jose, California. Gas right now is close to a high at approximately $2.40 a gallon! 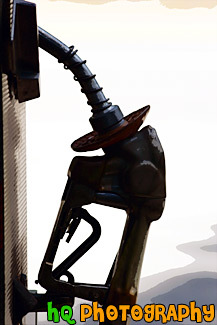 A close up picture of an old fashion gas pump handle at a current gas station located in Greenwater, Washington. 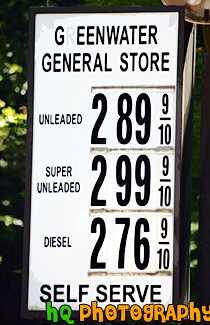 A close up picture taken of a gas price sign in middle of August, 2005. During this time we have never experienced gas prices this high before. This sign shows unleaded gas at $2.89 per gallon, but other areas around the country have reached over $3.00 per gallon for unleaded gas. This sign was taken at the Greenwater General Store in Greenwater, Washington. 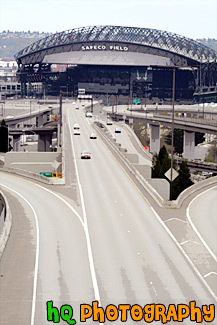 A scenic picture taken of the I5 freeway in downtown Seattle, Washington. 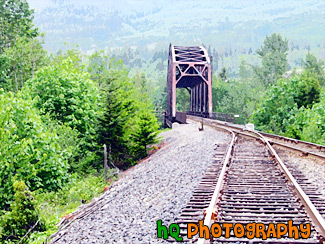 A scenic photo of railroad tracks leading out to an old bridge found in the state of Washington. This old bridge is built over the Green River located near Enumclaw, Washington. Also in this photo you can see the many Evergreen Trees surrounding the area which are also found all over the state of Washington. 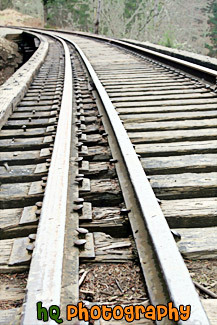 A vertical picture taken close up of some railroad tracks located in Washington State. A close up vertical picture taken of wooden railroad tracks. 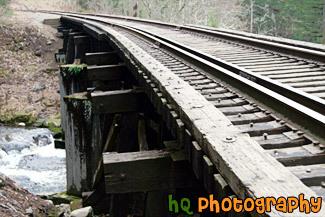 A close up photo taken of some railroad tracks on a bridge crossing a river. A picture looking through the side view mirror of a car. 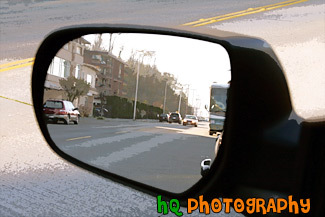 When you look into the mirror you can see other cars driving on the road coming towards the mirror and going away. 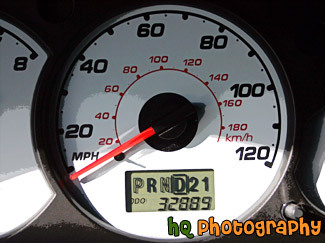 A close up picture taken of a speedometer in a 2003 Ford Escape. The reading is at 0 mph. 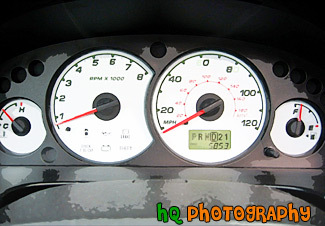 A close up photo of a speedometer, fuel reading, rpm reading, and temperature readings taken in a 2003 Ford Escape. 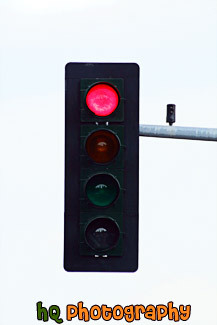 A close up vertical picture taken of a stop light with the red light showing. 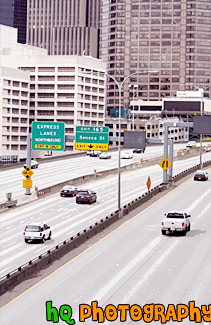 The traffic situation in the Bay Area just keeps getting worse and worse. This is a photo taken on a typical weekend. 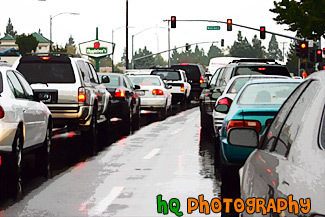 Traffic just doesn't seem to get better no matter what day of the week it is! 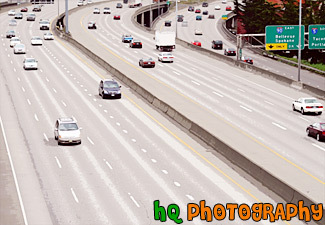 A close up picture taken of traffic travelling on the I5 freeway in Seattle, Washington.